I hope you all had a great weekend! It rained here in South Carolina most of the weekend (and the week prior), so I'm so happy for a little sunshine this week! 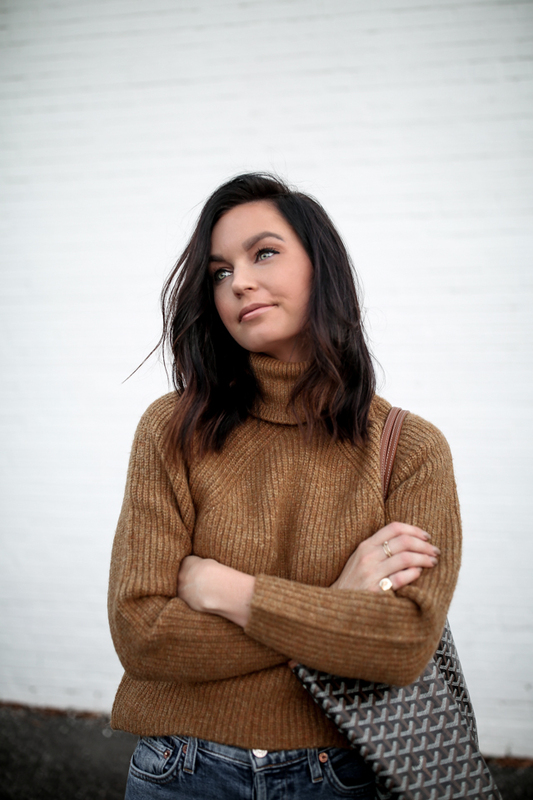 I saw this camel turtleneck online last week and couldn't check out fast enough. 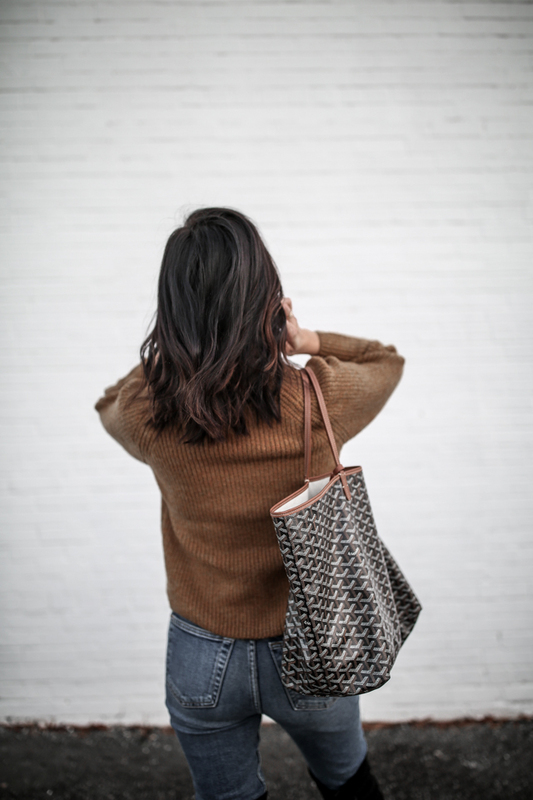 It's such a great color and closet staple - especially for the price. It has a bit of a cropped fit (but not too short) which looks great with high-waisted denim and OTK boots. This sweater will be on constant rotation over the next few months! As always, thanks so much for stopping by - X. Winter basics are always my favorite! What I wear every day! 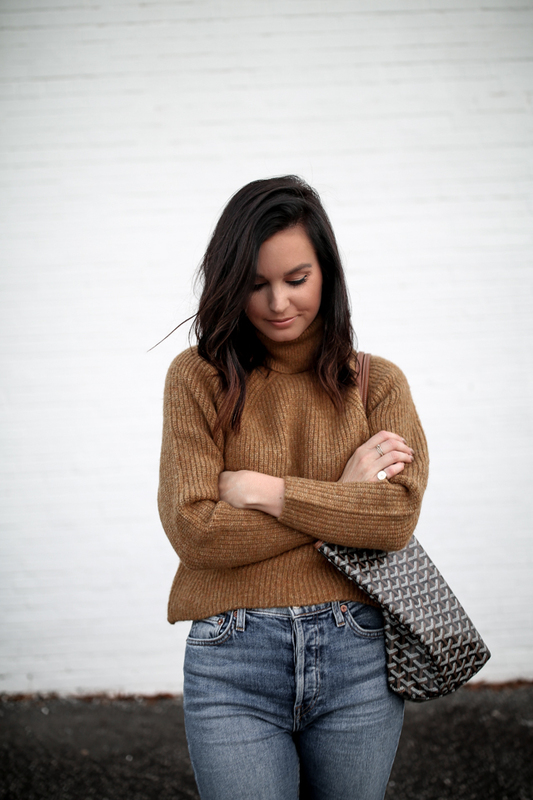 I will never not love neutral cold weather basics. Love how you styled these!